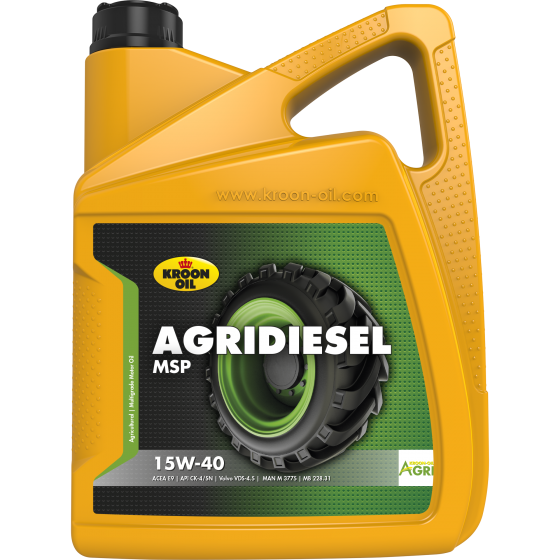 Agridiesel MSP 15W-40 is a high-grade Mid SAPS motor oil suitable for use in the latest generation of diesel engines in agricultural vehicles and earth-moving machinery. Particularly suitable for use in clean Tier IIIb and Tier IIIa engines, whether or not equipped with an exhaust gas after-treatment device (particulate filter and/or SCR catalytic converter) and/or an EGR system. If the manufacturer so specifies, longer oil change intervals may be applied.